Hello Travel Tribe, my name is Raynette Owens, I am a travel agent and the President of Southfield Travel & Tours Inc. as well as your Travel Time hostess with the mostest! 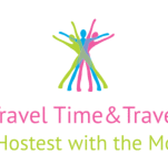 This travel Tribe is for the STT Travel Time Radio Show members only. ( coming soon after our website's launching). And so there are only 2 ways to join; (1) by signing up over the Southfield Travel & Tours Inc. website under Travel Time to receive an official Travel Time invitation to join us & become a travel tribe member or (2) Coming directly to the travel tribe website at http://www.traveltribe.com/ & signing up directly & search for Travel Girl STT. Thank you for your continued support. Toodles from your Travelgirlstt. Basically we are a full service travel agency. Therefore when it comes to travel you will find that we are interested in everything.